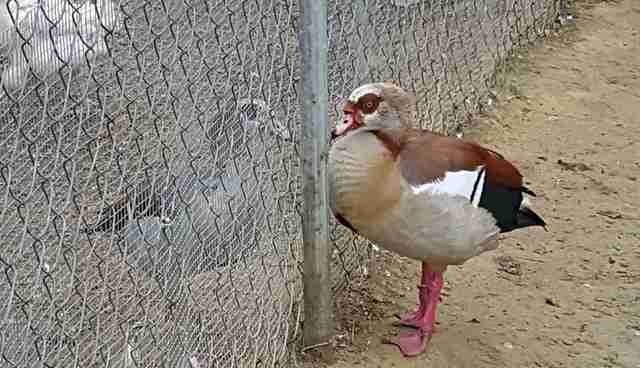 Tut, the resident Egyptian goose at North Carolina's Carolina Waterfowl Rescue, has finally found true love again. Before arriving at the rescue, Tut lived out his days on a lake at Gardner-Webb University, where he met his first mate. However, she eventually passed away, leaving Tut alone and desperate for companionship. "When she died, he roamed the campus and found himself in trouble, following people and getting in the road," Jennifer Gordon, executive director of the rescue, told The Dodo. "The school could see how lonely he was, so they asked us to come get him. We drove several hours to get him and brought him here." 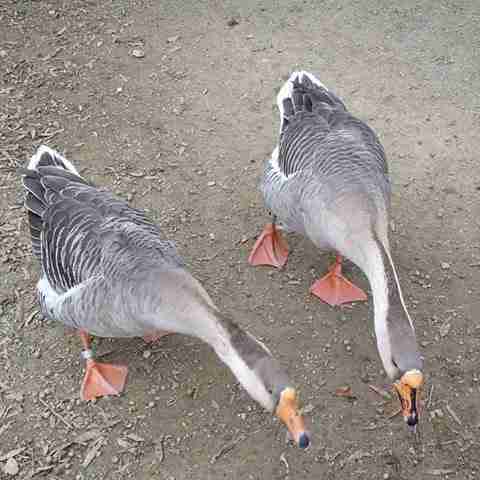 At the rescue, Tut quickly made friends with another pair of geese known as Romeo and Juliet. Tut always followed them around, according to Gordon, once again showing just how much Tut craved company, even if it meant awkwardly becoming a third wheel to another couple. 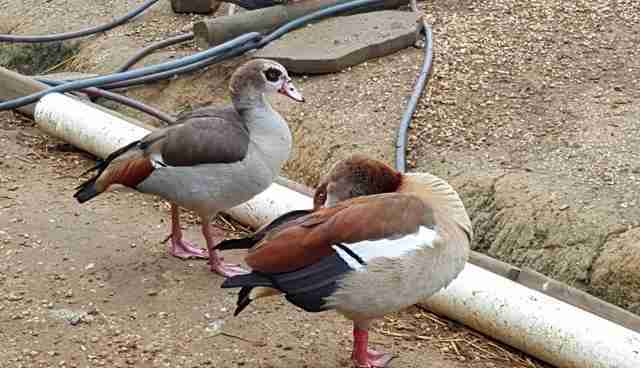 Then along came Carolina Waterfowl's newest Egyptian goose - a lady appropriately named Cleopatra. 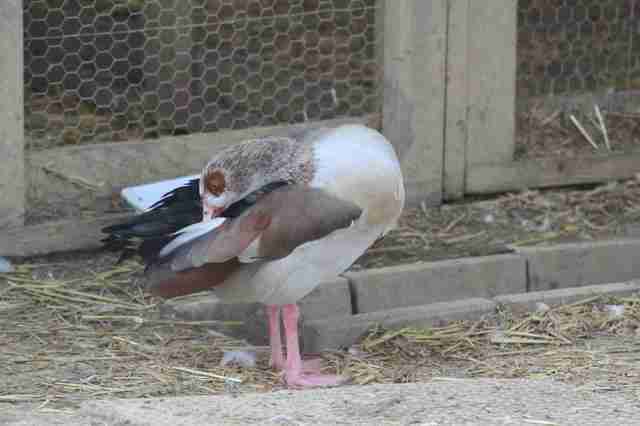 After Cleo got caught on a fishing line, Gordon said, the very thin goose was dumped in a lake. During Cleo's first day outside in her new home, she had to be kept in a separate enclosure from Tut, a wire fence separating the two. "We always house birds in a pen for a few days when they get here so they get used to their surroundings," Gordon said, explaining the separation. "We have 11 acres so they get full roam of the property and sometimes that's overwhelming for a new bird. 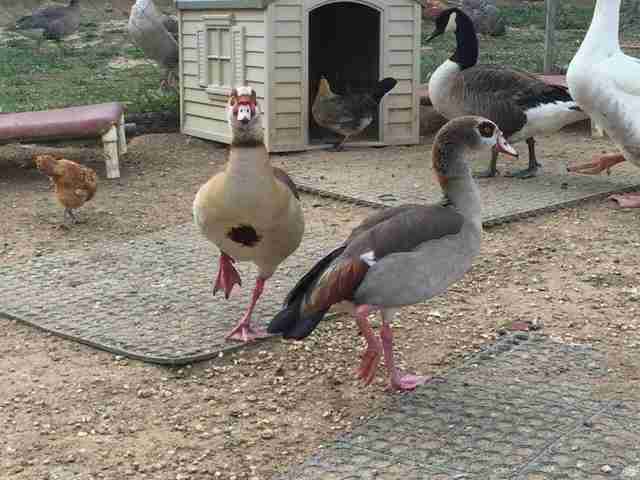 It also lets them gradually get used to other birds on the property." Since Cleo is thin as well, her eating habits had to be monitored closely. It was undoubtedly love at first sight for Tut, who immediately walked up to the fence and sat in the same spot all day, "talking" to Cleo, Gordon said. Even better, Cleo appeared receptive to his advances. 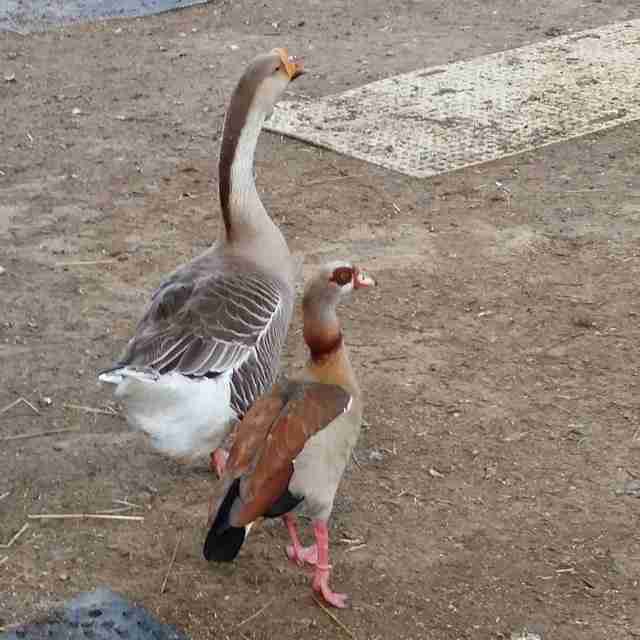 The next day, Gordon placed the two geese together in the same enclosure and they've been inseparable ever since. It seems Tut hasn't let up on romancing his new lady friend either. "He has been dancing around her [and] doing mating displays," Gordon said. "He stays right by her." According to Gordon, Cleo's certainly interested in Tut, but also likes to play hard-to-get with him, just to keep him on his toes. "They are really cute," Gordon said of the blossoming relationship. You can keep up with Tut and Cleo on Facebook. Want to help the Carolina Waterfowl Rescue continue doing good work for animals? Consider making a donation here. Click here for another romantic bird story featuring storks and here to read about Patches and Joe, a goat and lamb who found friendship at the rescue.